How do I set up a TEXT TO DONATE campaign for my event or organization? 1. GENERAL DONATIONS–At any time during your event, an attendee can text the word DONATE to give any amount to your organization. 2. FUND-A-NEED–There are times when your organization might be raising money for something specific–such as a new playground. Bidr allows you to choose a custom keyword for your campaign. For instance: Text the word PLAYGROUND to help us raise money for a new playground at our downtown facility. We also provide digital signage that shows real time revenues for you to display at your event. This is where your MC’s and Live Auctioneers can get involved. With the digital signage displayed on a projection screen behind them, the MC or Auctioneer can say to the crowd, “In the next 30 minutes I want us to raise $1000 for this new playground. Text in your donations!” The signage reflects donations instantly AND it also acknowledges individuals who donate at the bottom of the screen. For instance, if Sam texts a donation in, the following will appear at the bottom of the screen, “Thanks for your support Sam! !” or “Keep the donations coming Sam!” People love to receive this type of recognition! 3. BIDDER DONATIONS–If you are also running a silent auction at your event, Bidr does some unique things to encourage donations from bidders. At the close of auction, in addition to sending a notification text to the winning bidders, Bidr also reaches out to those who LOST items they bid on. Just think of how many bids are placed on each item!! At the end of the auction when only one person wins the item, you are missing out on a whole list of people who were willing to spend money at your event. Bidr also sends out an automatic message to the losing bidders that goes something like this, “We’re sorry, you didn’t win the Spa Package! But, we’d still like your support. Text the word DONATE to give!” Even if the losing bidder only gives a portion of what they were planning to spend on the item, multiply that by 100 losing bidders and that’s a lot of revenue for your organization! An event is a great way to kick off a TEXT TO DONATE campaign. But let’s say you need to raise A LOT of money for that new playground. Use the event as a way to introduce the FUND-A-NEED and then keep it going long after the event is over. 1. TEXT.GIVES– We created a product just for this use. Click over to text.gives and you will have a custom url and text keyword in seconds. 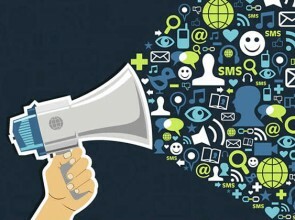 SOCIAL MEDIA–You can promote your FUND-A-NEED campaign on all your social media platforms. Since it’s text based, this makes is SO EASY for people to give. They don’t have to go to some separate website or fill out any type of form. And, if they attended your event, their payment information is already in our system so the process is completely seamless! 2. EMAIL BLASTS–Chances are you send out email newsletters about your organization on a regular basis. 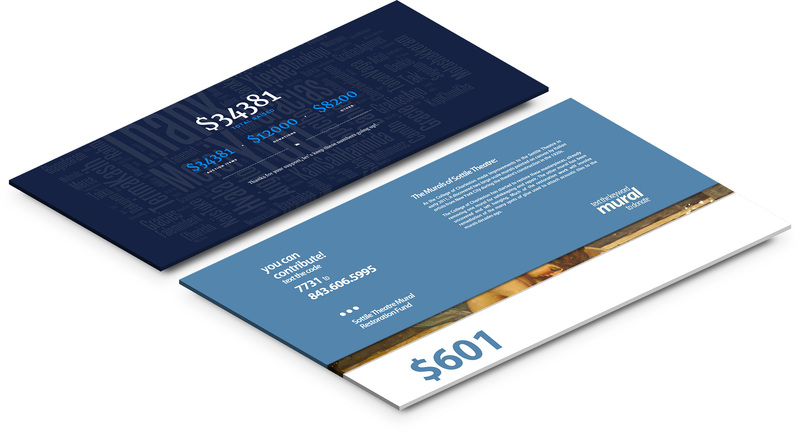 Make the TEXT TO DONATE campaign a focal point in all your informational and marketing materials. 3. DIGITAL SIGNAGE–Remember that digital signage you displayed at your event? Don’t forget to continue using it. Instead of an old school thermometer at your office or headquarters, show your revenues on a flat screen television. Do the same for every event you host as an organization, big or small. If another group or community function is sponsoring you or making you a part of their event, ask them if they can display it and help promote your organization. For example, one of our clients was chosen by their local Chamber of Commerce as the Non-Profit of the Month and the Chamber displayed their digital signage at their quarterly breakfast. This not only helped raise money but also gave the campaign a TON of exposure among community and business leaders. What are you waiting for? Set your campaign up TODAY! and understand this side of the story. It’s surprising you are not more popular given that you most certainly have the gift. Hi Stacey, Text.Gives is different than other donation platforms and you can absolutely use it in conjunction with another campaign. ← PART TWO: Silent Auction Check-In Lines…what are those?